For one autumn afternoon each year, Kauffman Park transforms from a picturesque downtown greenspace to an expansive sea of costumed canines. Beagles, bloodhounds and bulldogs become dinosaurs, hot dogs and Darth Vaders. The entertainment value is priceless, and the joy observed on the faces of children and other parade participants (four-legged and otherwise) is even better. But what about if you’re in it to win it? Just how can you ensure your canine remains conspicuous despite the masses of mutts? 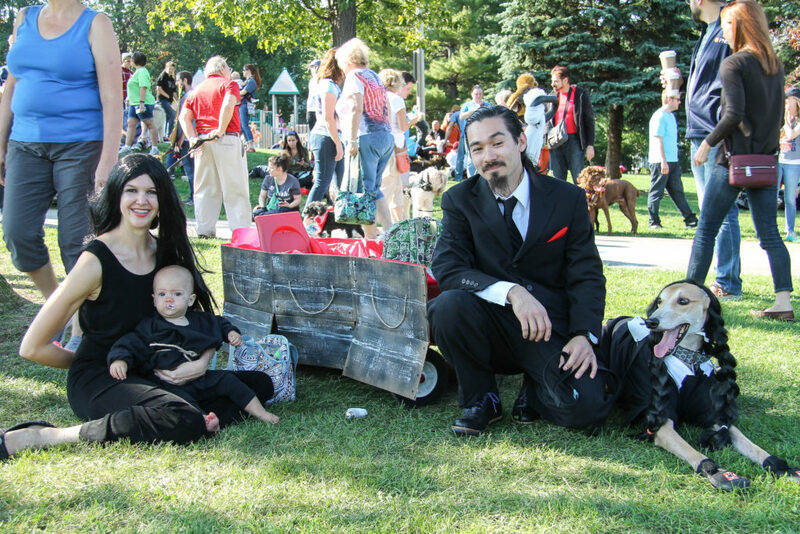 There are, after all, various “Best of…” awards to be claimed when the 10th Annual Spooky Pooch Parade – sponsored by Discount Drug Mart and presented by LakewoodAlive – takes place from 12:30 to 3:30 p.m. on Saturday, October 21. You miss every shot you don’t take. 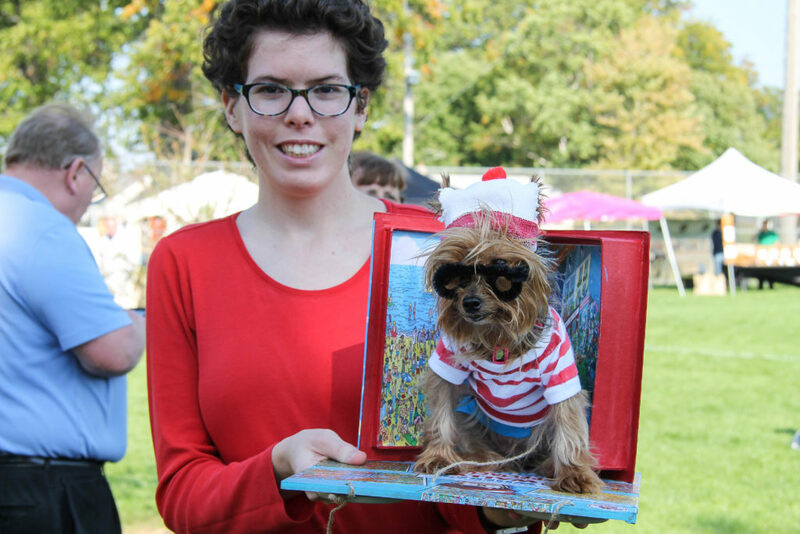 Register your furry friend to march in the 10th Annual Spooky Pooch Parade now by visiting LakewoodAlive.org/SpookyPooch. It’s worth mentioning that Pet’s General Store is donating one year’s worth of free dog food to the winner of Best in Show during the 2017 Spooky Pooch Parade! As the aforementioned award criteria suggest, you bolster your chances of claiming victory by collaborating with your pooch on a shared costume theme. Three of the five award categories require a collaborative effort, and you certainly aren’t excluded from the final two criteria when you play the Robin to your pooch’s Batman. Besides, dressing up is ageless and fun! There are two ways you can capitalize on your canine’s unique appearance and personality with your Spooky Pooch Parade costume. First, you can leverage your pooch’s innate characteristics to select the perfect costume, such as dressing your basset hound as a rabbit or your Shih Tzu as an Ewok. Conversely, though, it’s often even more effective to take your dog out of its comfort zone and pay homage to Opposite Day. Consider, for instance, dressing your Doberman as a dainty daisy or your Chihuahua as a ferocious monster. 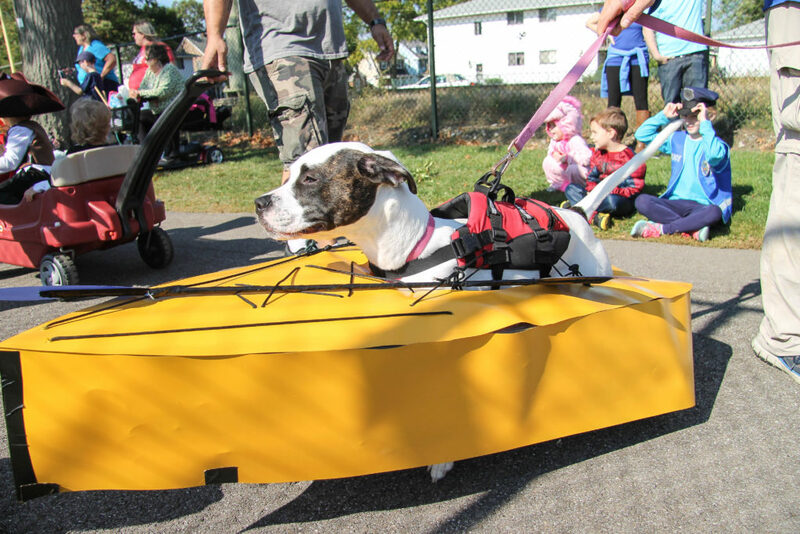 Ultimately, whether you spend five weeks or five minutes on your dog’s costume, the Spooky Pooch Parade is all about enjoying a fun afternoon while showcasing Lakewood’s vibrancy. Win, lose or draw, everyone goes home as happy as a dog with a bone.